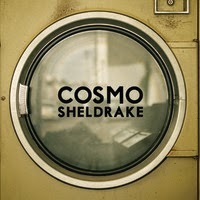 Solar is the latest single from new artist Cosmo Sheldrake, who has already had a hit with the A-Side to this EP, The Moss. In Solar, Sheldrake recites a William Blake poem titled "I Rose Up At the Dawn of Day" and the song is "composed from recordings of the Sun, taped using a technique called 'Stellar Seismology'. Other sounds that feature in Solar include field recordings of Ecuadorian flutes and singing from the Central African Aka Pygmies". These influences and recordings show during the first minute of the song, which really took me by surprise because I haven't seen any other artists use this unique technique to compose a song before. But as I got into the song, it became more catchy and after a few listens, I was happily singing along. Overall, it's a very catchy song and I'm interested to see what weird sounds Sheldrake produces next. You can listen to Solar below on SoundCloud, as well as The Moss. You can follow Cosmo on Twitter, "Like" his page on Facebook and view his website for more info. The Moss - Single is out via Transgessive NOW on iTunes - get your copy HERE!